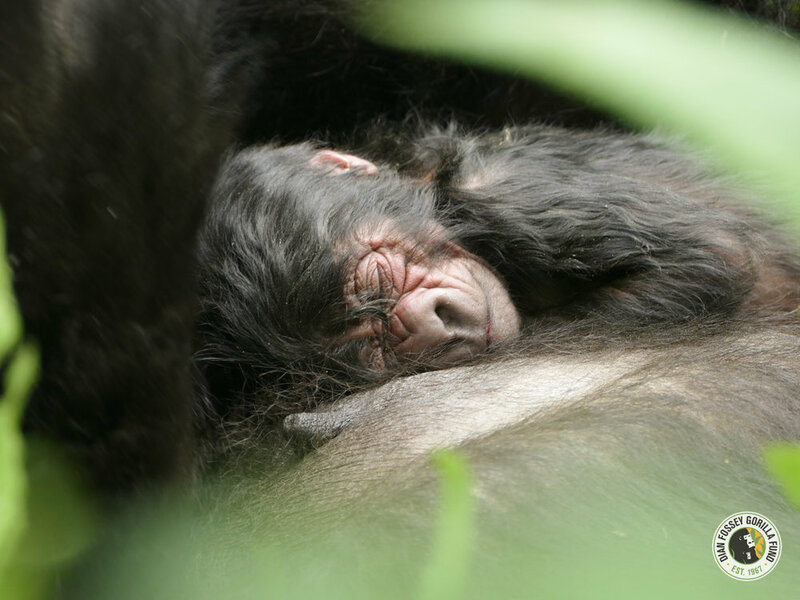 World Gorilla Day – which is also not coincidentally the anniversary of Karisoke – saw the birth of a new baby gorilla... one of only a few hundred left alive. Mother Ishyaka and the yet-to-be-named baby live in Kureba’s group with dominant silverback Ishavu. The baby has an older sister (Akariza) who is almost 3.5 years old. The new baby was born on World Gorilla Day, which is great! And he comes from two great gorilla dynasties, his great grandmother on his mom’s side is Effie, who was an extremely successful female, grandmother of Cantsbee and many other famous gorillas. And his great grandmom on his dad’s side is Flossie, who was the mother of Titus of Gorilla King fame.